Hours after pulling from an October card due to an opponent’s injury, David Price will return to the ring on the undercard of Anthony Joshua and Alexander Povetkin’s heavyweight title clash on September 22nd. Price faces Sergey Kuzmin on the same card as his last opponent, Povetkin who leveled the Liverpool native earlier this year. “It’s just great. 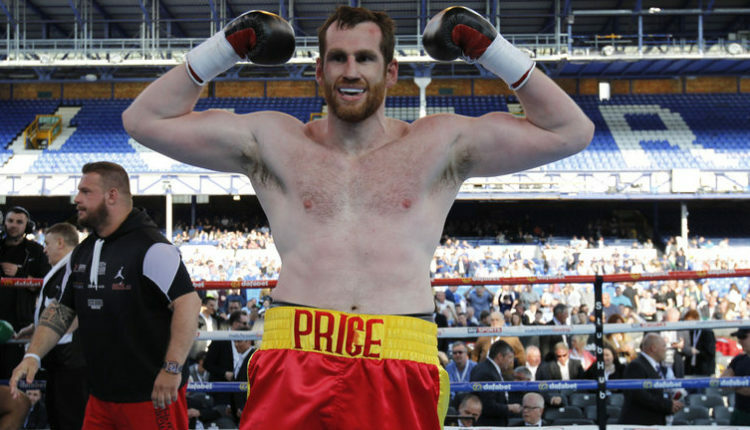 I got a huge buzz last time being part of such a big occasion,” said Price. “There’s nothing like the feeling of a big fight night and I’m excited to be part of another one. “It’s all been late notice, but I was training to fight in Belfast anyway. It means I’ll have to squeeze in my sparring as the fight is only 10 days away, but I’ll come out all guns blazing on the night.